President Lyndon Johnson “sings” with Yuki as David K.E. Bruce, the U.S. ambassador to Great Britain, watches. Feb. 6, 1968. 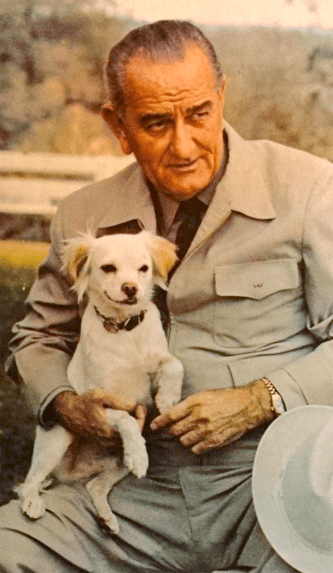 President Lyndon Johnson’s favorite dog was a terrier mix named Yuki. LBJ’s daughter, Luci, found Yuki at a gas station in Texas on Thanksgiving Day 1966. 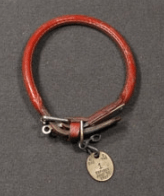 According to Stanley Coren in his book Why We Love the Dogs We Do: How to Find the Dog That Matches Your Personality, Johnson often asked Traphes Bryant, the White House kennel keeper, to bring one or two of his dogs to the presidential bedroom at night. Bryant either did not hear or at least did not disclose the First Lady’s reply. 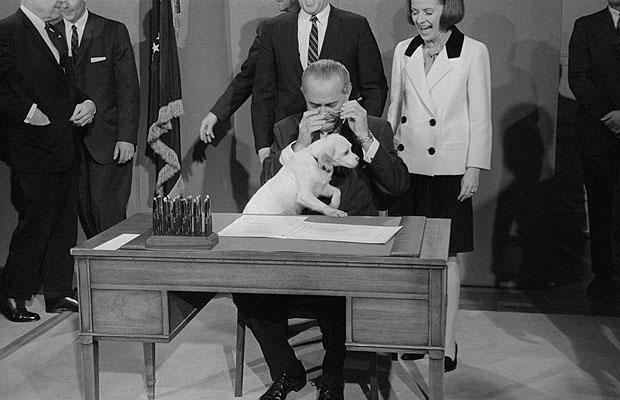 President Johnson tries to sign a bill on Dec. 15, 1967, but Yuki jumped up onto the desk. The president took Yuki with him to cabinet meetings and to the Oval Office, and they even swam together in the swimming pool. LBJ danced with Yuki at his daughter Lynda’s wedding. The First Lady intervened, however, when the president wanted to include Yuki in the family wedding photos. Yuki also enjoyed “singing” with the president. A 1968 photo shows Yuki and LBJ both howling with their noses up in the air to the amusement of Ambassador David Bruce. “He is the friendliest and the smartest and the most constant in his attentions of all the dogs that I’ve known,” Johnson said. Yuki with Patrick Lyndon Nugent, the president’s grandson, on Aug. 27, 1968. When Johnson left office on January 20, 1969, Yuki flew with him on Air Force One to the LBJ Ranch. The little dog reportedly was by Johnson’s side when the former president died in January 1973. After Johnson’s death, Yuki went to live with Luci Johnson Nugent and her family. Yuki died in 1979 at around 13-14 years old.